Fourty inches wide and thirty inches high, this contempratry art piece was made for Mae in Colorado. 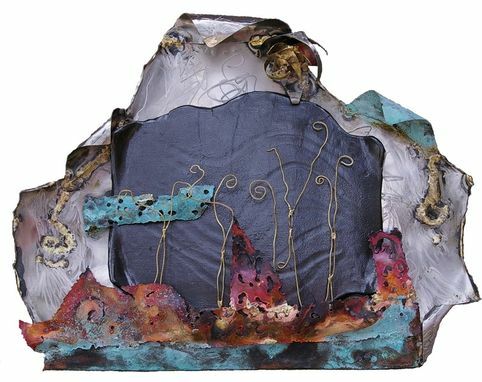 It features glazed stoneware tile, stainless steel, and copper with patinas. Made through our usual custom art design methods that we have been using for the last thirty years another successful art project was completed. This piece was about growth underground in the garden and was located on a wall above an open staircase. The wall was visible throughout the living room.